Our mission is to innovate solutions to the global energy storage capacity shortage. The price of lithium as a commodity is an entirely different subject. The Alternet Systems management team has worked together for years in a variety of capacities separate from Alternet. Much of their experience together was in the military or working with the military. Their time in the military included working with a variety of electronic information and communications systems and combat systems. All of these systems required ruggedized and sustainable energy storage solutions. More recent experience that ultimately led up to the management team coming together to build the Alternet operation involved working with university research and development departments experimenting with various energy storage technologies - primarily graphene-based supercapacitors. Current graphene-based supercapacitors can now store almost as much energy as lithium-ion batteries, charge and discharge in seconds and maintain all this over tens of thousands of charging cycles. Nevertheless, we caught the Lithium-Ion fever and threw ourselves into building an in-vogue portfolio of Lithium technologies in partnership with a Fortune-500 company. Long story, very short, we re-learned that the race for solving the global energy storage shortage problem is not necessarily about using Lithium more efficiently or taping into a yet undiscovered new source of Lithium. Any limitation on the availability of Lithium is a separate issue and one convenient for commodity brokers that use a limited supply story, and an alleged demand to drive up Lithium commodity prices. We’ve re-centered Alternet’s strategy on finding innovative solutions to energy storage shortages, and those innovative solutions do not necessarily need to come from Lithium-Ion based technology. We’re exploring a variety of energy storage research and development initiatives and much of the leading development is being conducted at universities. We’re looking to structure partnerships with the research and development organizations to commercialize their technology by building that technology into specific applications. Graphene, as we mentioned above, has long been seen a subject of research for future energy needs. Other alternatives being researched include fuel cells, photosynthesis, solid state technologies, sodium-ion, solar, foam, aluminum graphite, and sand. Most of these are safer and more abundant than Lithium. ReVolt Electric Motorbikes is a new company conceived by Alternet Systems, Inc. and launched as an Alternet subsidiary. Alternet is implementing a commercial product intended to advance energy storage innovation by financing energy storage research and development through investment funds raised based on the independent ReVolt pro-forma financials. The long-term object of ReVolt Electric Motorbikes is to become a leader in the production of electric motorbikes as daily drivers in the developing economic regions of the world were motorcycles, scooters and mopeds are the primary mode of transportation. The current global market for motorcycles, scooters and mopeds is approximately 130 million units per year resulting in $120 billion in annual sales. As per capita income in developing economic regions continues to improve, motorcycle, scooter and moped sales are correspondingly expected to grow. Global automobile sales in 2018 is expected to reach just 80 million units. ReVolt has started with the production of retro-classic designs for the US market and will later introduce a utility daily driver for everyday transportation in developing economic regions. The first retro-classic design electrifies the rich history of the BWM R71 motorcycle. The R71 represented an engineering feat with the move away from the conventional pressed steel frame bikes to the higher strength oval tube frame design which was easily able to cope with the additional stresses of a sidecar attachment. Some version of the R7 has been in almost continuous production since the original design in the 1930’s. Some historians claim a similar Russian Military motorcycle, the M72, was extensively built based on designs stolen from BMW while others claim the designs otherwise came to Russia as part of a negotiated deal. The Russians later shared the designs with their communist allies, China, and China produced the CJ750, still found in use in the Chinese Government today. Even Harley-Davidson built its own version of the R71, called the XA, for the US Army and then later integrated R71 innovations into their mainstream line. ReVolt has constructed its first retro classic designed motorcycles and is currently piloting various electric motor and lithium-ion battery solutions. The company is working toward a production model ready for the holiday market. That same production model would also be submitted for user acceptance trials supporting a recent $1 million fleet order. Visit www.ReVoltMotorbikes.com to learn more. The management team at Alternet has first-hand experience with many of the military, special operations and clandestine uses of batteries. 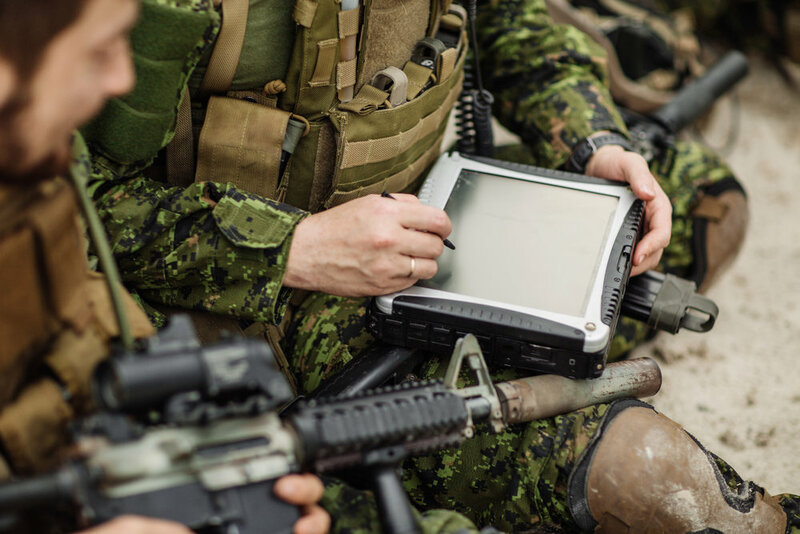 The management team is familiar with many of the vendors (most of which people have never heard of) that provide the military with current contained power solutions today. The most notable experience the Alternet management team brings is with the training operations conducted with small nation-states to empower those entities to support the United Nations consensus on allied sovereign authority. Accordingly, in addition to Alternet’s efforts to develop partnerships concentrating on the integration of Alternet technology into US combat systems, Alternet is also working to develop similar partnerships for delivering combat systems utilizing Alternet technology to small, allied nation-states. The US military industry sector is the largest exporter of military systems in the world accounting for over 30% of the entire defense sector market. The US military spends over $100 million dollars a year on batteries. Now consider that there are 195 countries in the world (at last count) and only about 20 of them does not have a military. That’s a pretty big battery market and as military equipment becomes more electronic and more portable, that battery market is only going to grow.